You might be referring to just nailing down a process to drawing them, but I think you've got the concept of his feet down perfectly, and I've never noticed anything wrong with the shape. They look pretty accurate to me. 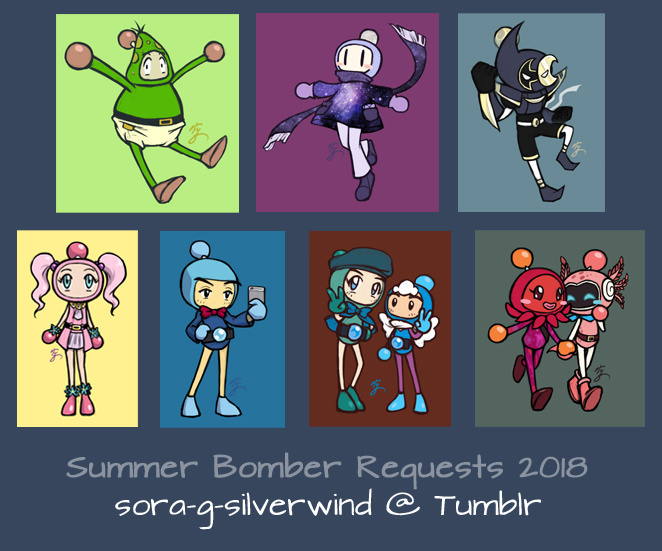 Those of you who follow me on either Tumblr or deviantArt will know this already, but for the past two or so weeks I did something I've never done before and took art requests -- specifically, Bomberman-themed requests where I drew either people's OCs/bombersonas or canon characters! Here's a preview of all the ones I did on deviantArt. 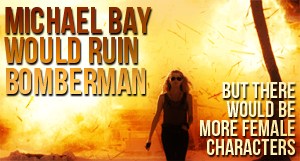 The request announcement has the links to the full versions if you're interested. Artworks are listed in reverse order from the compilation, i.e. guess who just screenshotted her dA gallery and stitched it all together in Photoshop. I'll put together a Tumblr one for the sake of completion when I'm not so cheesebrained. These are sooo good. I'd seen some here and there as you were releasing them, but not nearly all of them. Just, wow. Goodness me! 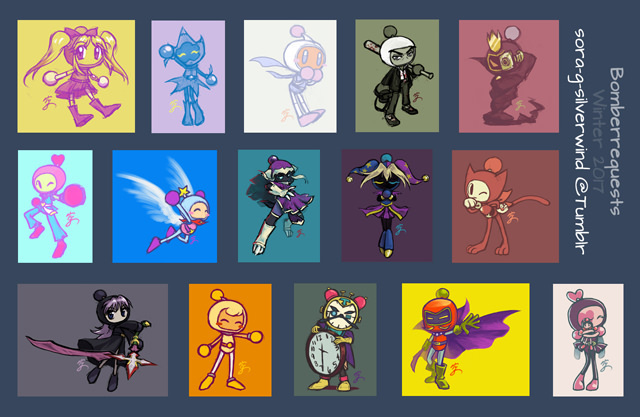 Even as I watched all these come out on Deviantart, it's really cool to see so many of these requests on one picture. And I probably can never thank you enough for dealing with me four times! Here's the Tumblr round, which was actually the first round I did to test the waters. The links to the full versions are here, in the order that they're shown in the compilation above. These are pretty great. You're an excellent artist and you really create some interesting drawings of Bomber characters new and old. *I re-did some old pictures I did of Lilith Bomber and Rukifellth Bomber from nine years ago. 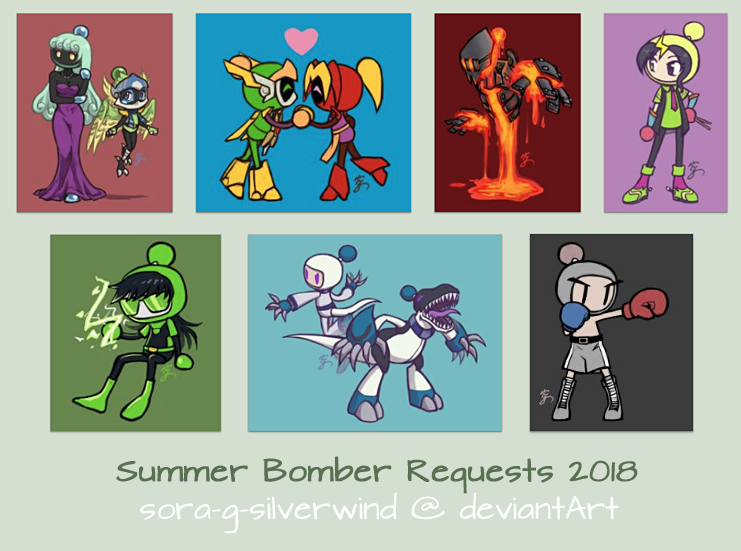 *I finished 14 bombersketch requests from Tumblr and deviantArt!